Virgin Voyages has released new renderings and details about the cabins on Scarlet Lady. This is the first time we get to see what the cabins will look like once the ship enters service in 2020. 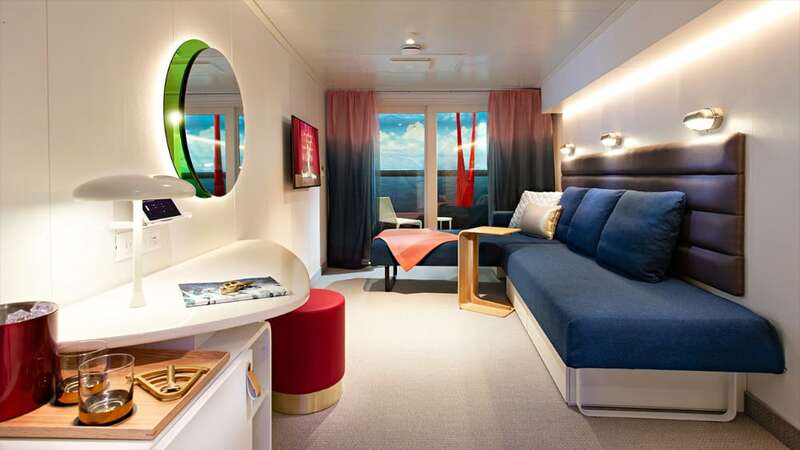 Virgin Voyages has finally revealed what the Cabins will look when Scarlet Lady arrives in 2020. The cruise line released a video tease along with some renderings of the regular cabins, not those huge RockStar suites which they revealed recently. The cabins are designed with high quality and Virgin has refined every single detail. They offer a modern and slick look for any type of cruiser or as in Virgin Voyages words “sailors!” 93% of the cabins will have sea views and 86% will have balconies which will feature hammocks. The cruise ship will have inside cabins and options for solo cruisers. The cabins introduce a totally new feature called Seabed, a transformational cabin bed designed in Germany. And also the cabin features an angled wall to maximize space. For environmental impact, the cruise line will also feature eco-friendly air conditioning with the cabins auto-detecting what’s needed. There are also settings for auto curtains and lighting. Guest will be able to take control of all the setting using a tablet. 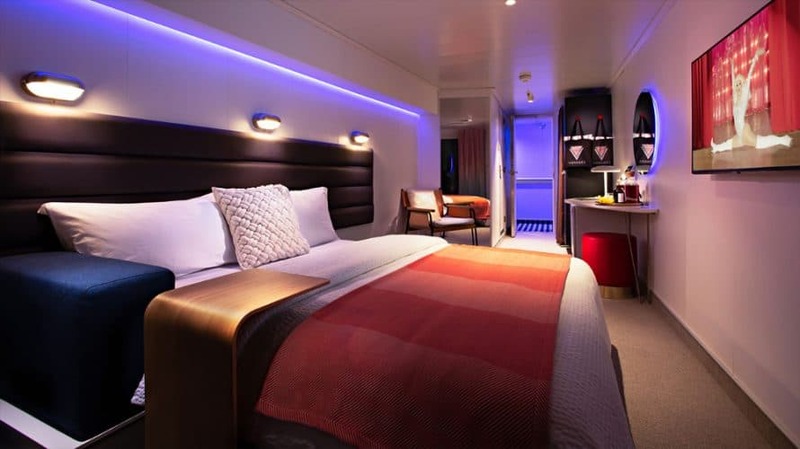 Most of the standard cabins will have “transitional Seabeds, sustainably sourced, hand-woven hammocks, sensory mood lighting, in-room entertainment with 43”+ 4K flat-screen HDTVs, minibars, glam areas, flexible wardrobes, and premium products in upgraded bathrooms with Roomy Rainshowers.” Virgin Voyages posted. Scarlet Lady is under construction at the Genoa shipyard in Italy and will arrive in 2020. She will be 110,000 gross tons with a guest capacity of 2,770 along with 1,160 crew members.